Inteq Healthcare Analysts work in conjunction with client teams to conduct a Translation Mapping and Gap Analysis using Analysis Tools to map proprietary data or database tables to third party translator database. Our Analysts will also work with client team to identify additional data elements required for EDI transactions that are not found on originating formats, such as the HCFAI500 or UB92 claim formats. 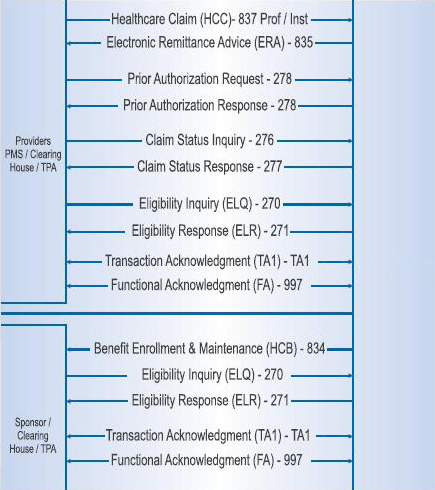 Deliverables from this engagement are Translation Maps, which include the complete structure and rules to build EDI transactions. Inteq Project Team can integrate various third party Translation System with your organization's current workflow and healthcare IT infrastructure, including practice management systems, hospital information systems, adjudication systems, database applications or proprietary systems.